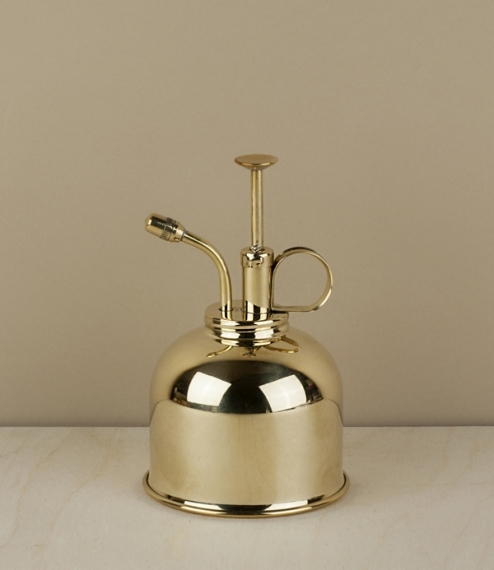 A perfect accompaniment to the Haws indoor watering cans, this bright unlacquered brass mist sprayer is ideal for keeping more delicate indoor plants hydrated, and protecting them from the desiccating effects of central heating. Over time the brass will naturally dull but can be restored to its original lustre using any good quality polish. Founded in Clapton, East London in 1886 (although long since having migrated to the West Midlands), Haws are thought to be the oldest watering can company in the world. Available in brass or nickel.